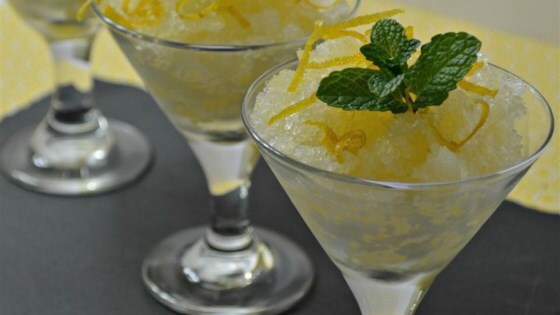 "A tasty tart Meyer lemon sorbet. It's paleo-friendly too, for my weirdo daughter." Combine water and honey and a microwave-safe bowl; heat in microwave for about 30 seconds. Stir water until honey is dissolved. Stir lemon juice and lemon zest into honey water; pour into an ice cream maker. Process according to manufacturer's instructions for 25 minutes. Scrape sorbet into a chilled loaf pan and freeze. These Tart Lemon Triangles are an elegant and quick dessert.